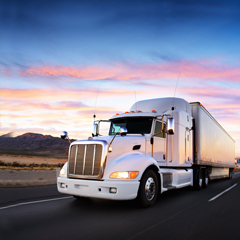 The Federal Motor Carrier and Safety Administration (FMCSA) has outsourced the CIO Support operations to support requirements of recent legislation affecting IT activities. The contract provides ideal combinations of service and business offerings while retaining technical control of programs. The service offers strategic, agency-level support, as well as project-oriented IT solutions. Our disciplined approach to IT Operations & Maintenance is derived from lessons learned in several successful projects, and was tailored to ensure available, reliable, efficient, and secure IT Operations. implementation, facilitation and coaching, executive and manager development and facilitation, project team training and coaching. Specific services were provided project management implementation, Cost-Benefit Analysis, Business Case Analysis, Program Portfolio Management, Project Coordination, performance management, analytical evaluation, SWOT analysis, and development assistance to support continuous process improvement, assistance in enhancing and maintaining processes including facilitating operational coordination of the portfolio/program/project life cycle, and change management. T3 TigerTech has developed the Concept of Operations (CONOPS) for all three divisions of the FMCSA CIO Office, describing their alignment with the IT Modernization Program. The CONOPS served as a communication tool for the IT Modernization program, assisting with understanding the context of the services in relation to the program. T3 TigerTech provided assistance in the development and evaluation of integrated strategic and tactical plans; provided analytical, evaluation and development assistance to support the FMCSA CIO integrated planning and process; reviewed existing performance management; and developed project performance metrics covering scope, schedule, cost, quality, and risk mitigation. T3 TigerTech served as the principal program coordination point for project coordination, performance reporting, and communication, and performed detailed performance reviews including performance gap analysis on existing contracts, as directed by the FMCSA client and the Prime Contractor. with ANSI 748 and OMB A-11. The goal of this FMCSA EVMS was to provide visibility of program status, and an objective “early warning system” for cost and schedule performance. This system integrated cost/schedule and work accomplished as the basis for planning, budgeting, authorizing work, and measuring performance, was based on objective information, accurately indicated work progress, focused on cost and schedule projection in a timely manner, provided timely, valid, and auditable information, allowed fast incorporation of changes in scope, and provided a common standard that ensures all cost and schedule information is commonly understood and usable. Motivating FMCSA to incorporate earned value into their culture was challenging. In order to implement an EVMS using MS Project Server, project managers needed a basic foundation in both process and tools. T3 TigerTech provided additional training to all project managers to build resource-leveled project plans, helping them understand project baselines and tracking project actuals. T3 TigerTech assisted educating the organization on the benefits of EVM and its ability to improve project health assessment helped prepare FMCSA to change. T3 TigerTech established a standard size metric (i.e., function/feature points) that can be derived from use cases developed counting standards to be used across projects to estimate cost and schedule, and monitor quality. T3 TigerTech also developed service quality standards and common operating procedures for non-IT user support activities such as: help desk, registration, and operating authority support. T3 TigerTech integrated two best practices in project management and IT Transformation: the Project Management Institute PMBoK and CMMi. Mastery of these two widely practiced and well-accepted methodologies for excellence in business process improvement were used throughout. This provided a full library of case studies, tool and models for application and modification and allowed us to compare FMCSA performance to other similar organizations and programs. undertaken are closely aligned with the business and deliver maximum business value. Plans were continually tuned and adjusted to accommodate the changes that occurred in the agency and industry it regulates. As priorities, budgets and people changed, the PMO reassessed the portfolio-level plans on a continuous basis. Any new projects were iterated from initialization to planning in order to keep assessing new requests and prioritize them against FMCSA current portfolio of projects. We provided Program and Project Oversight, watching the projects to ensure that they are hitting their milestones, staying within budget and that appropriate issues are being escalated and acted upon in a timely manner. We provided dashboard and status Reporting, distilling project status reports down to their essence and portray concise summaries to the stakeholders. We also developed the Quality Assurance framework, focusing on checking project and PMO adherence to its own processes and deliverables. The also developed supporting tools and processes for all functional areas of the PMO. As a result of this, we reduced cost overruns by at 30% and reduced missed deadlines, and performance shortfalls. 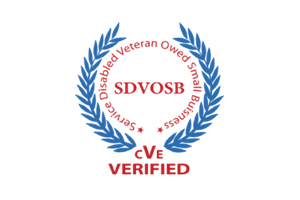 T3 TigerTech is a Service Disabled Veteran Owned Small Business and has received a Dun and Bradstreet “SUPERIOR” level of excellence, four times in a row. © 2007-2017 T3 Technologies, All rights reserved.